With a stay at Hostel al Fresco in Krakow (Old Town), you'll be within a 5-minute walk of Czartoryski Museum and Florian's Gate. The front desk is staffed during limited hours. With a stay at Bently Apartments - Jelitkowski Dwór Seaside in Gdansk (Przymorze), you'll be convenient to Brzezno Pier and PGE Arena Gdansk. Free self parking is available onsite. Located in Warsaw (Wola), this apartment is within a 10-minute drive of Warsaw Uprising Museum and Palace of Culture and Science. The front desk is staffed during limited hours. A stay at this apartment places you in the heart of Sopot, steps from Monte Cassino Street and Dom Zdrojowy. A roundtrip airport shuttle is provided for a surcharge (available on request). 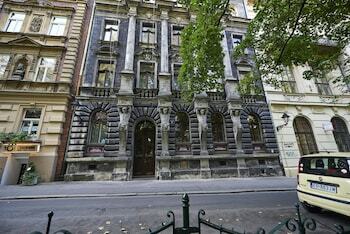 Located in Krakow (Stare Miasto), Garden Palace Hotel is within a 10-minute walk of Main Market Square and Collegium Maius.